Monster Energy congratulates team rider Trey Wood for a strong second place finish at the X Games Skate Park Qualifiers at Rhodes Skate Park in Boise, Idaho today. Monster Energy congratulates team rider Trey Wood for a strong second place finish at the X Games Skate Park Qualifiers at Rhodes Skate Park in Boise, Idaho today. 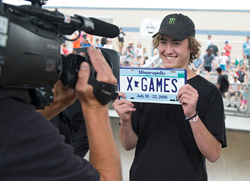 In front of a high-energy crowd and thousands of viewers tuned in via live stream, the 17-year-old from Queen Creek, Arizona, landed a perfect run for a ticket to the 2018 X Games Minneapolis on July 19. 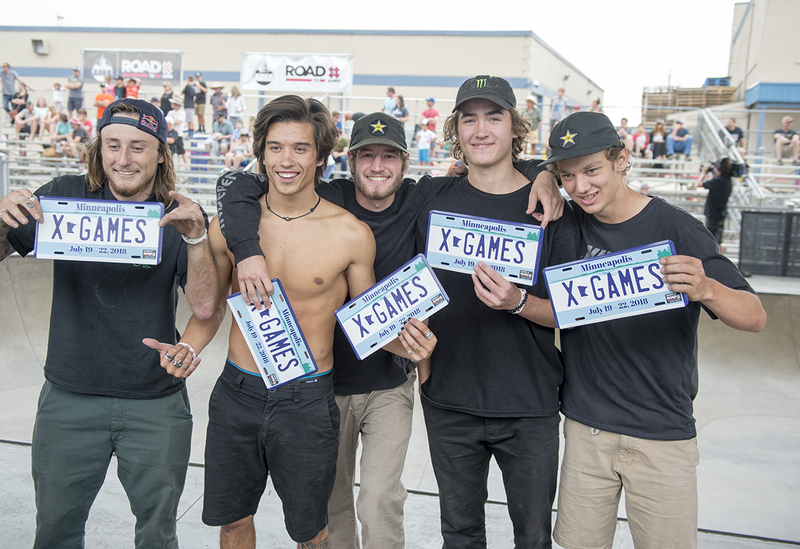 Today’s invite-only event was part of the Road to X Park Qualifier series, providing skateboarders from around the world a chance to earn invites to this summer’s X Games. 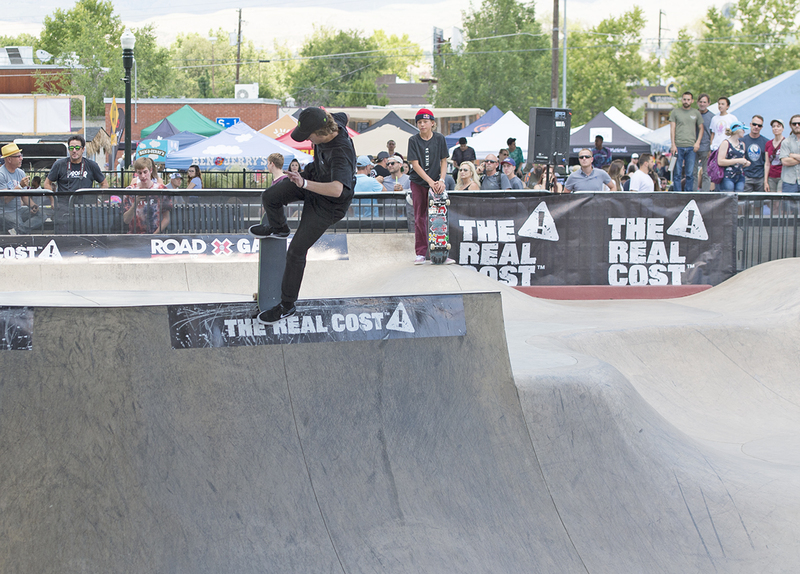 The weekend’s three park riding events – Skateboard Park Men, Skateboard Park Women, and BMX Park Men – each offered six X Games qualifying spots to competitors. The crowd was treated to world-class park skateboarding at the Rhodes Skate Park bowl course underneath an I-184 Interstate bridge in downtown Boise. The concrete park with its broad selection of pool corners, wall rides, and banks was renovated two years ago and is fully accessible to the public year-round at no charge. The finals unfolded in a session-like atmosphere with Tristan Rennie setting the bar high by posting an 85.33-point score. After stepping off his board on his first two attempts, it all came down to Wood’s third and final run. 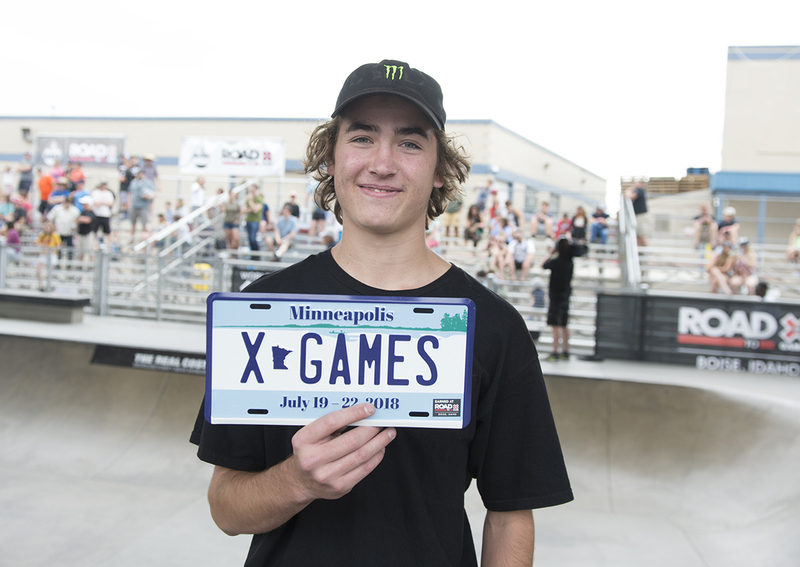 No stranger to high-pressure situations, Trey secured his qualification for this summer’s X Games by landing a perfect run. Standouts included a frontside nosebone over the hip, ollie up to frontside Smith grind in the pool corner, frontside noseblunt on the bank, backside disaster in the deep end, frontside nose bonk on the wallride, heelflip stalefish air and alley-oop frontside air over the hip, and a huge backside 540 in the pool corner for 83.00 points and second place. 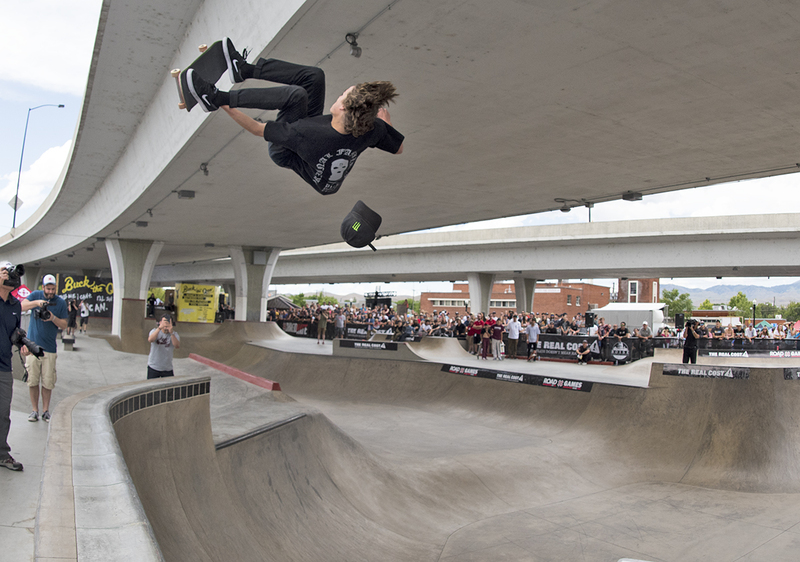 Wood started his 2018 season by winning the Converse Concrete Jam bowl competition during the 24th Tampa Pro skateboard contest in March. The 17-year-old rookie pro, known for his appearances in Big Air events at the X Games from a young age, is emerging as a top competitor on the global park riding circuit. 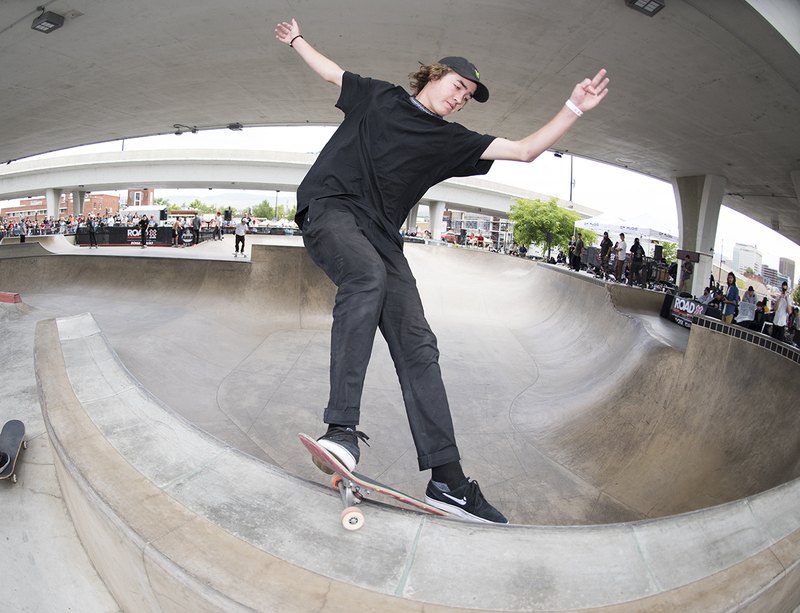 Recently relocated from his native Queen Creek, Arizona to San Diego, Trey has been fine-tuning his moves at Southern California’s concrete skate parks and is one to watch as he makes his sixth X Games appearance this summer. Download photos for editorial use. 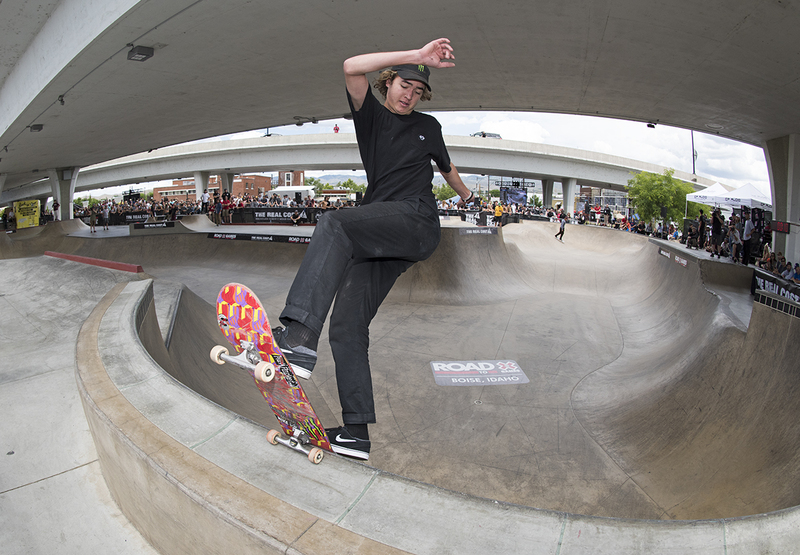 Also look forward to Wood, Tom Schaar, Lizzie Armanto, and the rest of Monster Energy team competing in the next stop of the global Vans Skatepark Series in Vancouver, Canada, on July 13. Visit http://www.monsterenergy.com and follow Monster Energy on Facebook, Instagram, Twitter for exclusive updates. Based in Corona, California, Monster Energy is the leading marketer and distributor of energy drinks and alternative beverages. Refusing to acknowledge the traditional, Monster Energy supports the scene and sport. Whether motocross, off-road, NASCAR, MMA, BMX, surf, snowboard, ski, skateboard, or the rock and roll lifestyle, Monster Energy is a brand that believes in authenticity and the core of what its sports, athletes and musicians represent. More than a drink, it’s the way of life lived by athletes, sports, bands, believers and fans. See more about Monster Energy including all of its drinks at http://www.monsterenergy.com.